L series is viewed by LG as a budget lineup that places an emphasis on style. And LG just unveiled the top member of this family, LG L9. The LG Optimus L9 features a dual-core CPU, clocked at 1GHz and 1GB of RAM. It has a large 4.7-inch IPS display, a 5-megapixel rear camera and a beefy 2,150mAh battery. The measures of the LG L9 are quite impressive. They are 131.9 x 68.2 x 9.1mm, while its weight tips the scale at 125g. The Optimus L9 will boot Android 4.0 Ice Cream Sandwich, dressed in the company's UX user interface when launched. New software is also set to ship with the Optimus L9, which includes both a redesigned keyboard and a language translation app. The new keyboard is dubbed the My Style Keypad, which allows users to adjust the key placement for easier one-handed typing. It’s something we’ve seen in Samsung Galaxy Note. Pricing and availability of the LG Optimus L9 are yet to be known. May be we have to wait till October or November this year. Read the PR to know more about LG Optimus L9. 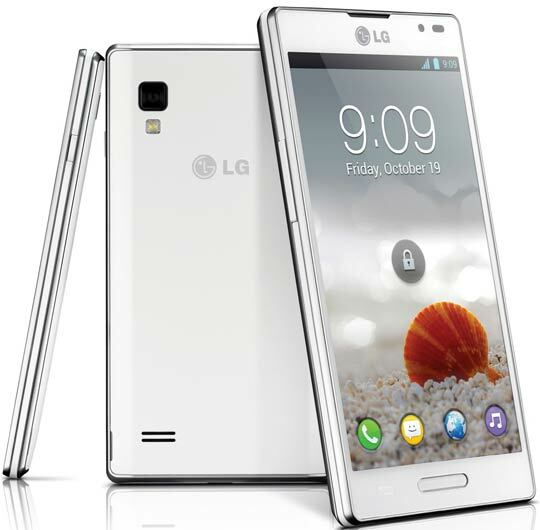 SEOUL, Aug. 29, 2012 –- The LG Optimus L9 will continue the stylish L-Series lineup of smartphones with its global debut. Following the successful launches of the Optimus L3, Optimus L5, and Optimus L7 earlier this year, the Optimus L9 is anticipated to continue in the success of the L-Series emphasizing premium design heritage developed from LG’s design leadership. Inheriting LG’s premium L-Style design philosophy, the Optimus L9 has a 9.1mm thin body with a slimming metallic streak and modern square style that offers a comfortable grip from its slim and stylish design. The largest-in-class 4.7-inch IPS display of the Optimus L9 offers clear and true-to-life images with incredible detail for comfortable viewing experience. The high-density 2,150mAh SiO+ battery allows users to enjoy the various new UX features all day long with maximized performance while retaining its incredibly sleek design. The Optimus L9 was also developed to be a smarter smartphone through LG’s differentiated UX features, such as the QTranslator and My Style Keypad function along with the ever-popular QMemoTM. The QTranslator function instantly translates not only words, but also entire sentences and phrases with a simple scan from nearly 44 foreign languages to 64 user languages. Using Optical Character Recognition (OCR) technology, it recognizes letters upon scanning with the camera and utilizes electronic dictionary or online translation engine to translate words, sentences or phrases. The My Style Keypad function comfortably adjusts the key formation of the keypad according to whether the user is texting with one hand (right or left-handed) or two hands. Lastly, the Optimus L9 will also include the QMemoTM, allowing users to capture, memo and share their ideas with others using their fingertip or handwriting.